Hyde Park was transformed into a giant birthday bash Friday night as 46,664 people joined “birthday boy” Nelson Mandela and a stellar lineup of entertainers to raise funds and awareness for his 46664 charity. It had been raining on and off all day in London, but the skies cleared just in time for the once-in-a-lifetime lineup of musicians and entertainers to take the stage in honor of Nelson Mandela’s 90th Birthday. The event was hosted by an enthusiastic Will Smith, and performers included Jivan Gasparyan, Razorlight, the cast of Into the ’Hoods, Sipho Mibuze, Leona Lewis, Zucchero, Suzanna Owiyo and D’Gary, Sugababes, Annie Lennox (who performed with the Agape Children’s Choir), Emmanual Jal, Vusi Mahlasela, Jamelia, Loyiso, Johnny Clegg, Joan Baez, Eddy Grant, Kurt Darren, Simple Minds, Brian May and Andrea Corr, Amy Winehouse, 9ice and Bebe Cool, Josh Groban, Amaral, and Queen and Paul Rodgers. The renowned Soweto Gospel Choir accompanied many of the acts. 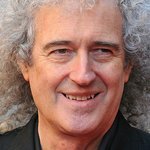 Additional entertainers who introduced the musical acts included Quincy Jones, Lewis Hamilton, Geri Halliwell, Peter Gabriel, Stephen Fry, and Jerry Dammers. After Jivan Gasparyan opened the show with an instrumental piece to accompany a moving series of photographs of Mandela, Will Smith took to the stage with his wife Jada and announced, “The party starts now.” An energizing performance by Razorlight set the tone for the rest of the evening. Quincy Jones introduced crowd favorite Leona Lewis, who sang her two top hits “Better in Time” and “Bleeding Love.” Lewis wished Mandela a happy birthday and told a touching story of how she and her family used to sing songs about him when she was young. Other birthday wishes came via a film of various celebrities who were unable to attend, including David Beckham, Victoria Beckham, Sharon Osbourne, Sheryl Crow, Morgan Freeman, and Susan Sarandon. Smith returned to the stage throughout the show, revving the crowd with a surprise performance of his song “Switch,” which included rap verses from his hit television show “The Fresh Prince of Bel Air.” Annie Lennox, a passionate HIV/AIDS activist and staunch supporter of Mandela’s charities, made a moving speech about a young girl she had met in Africa who was gravely ill with AIDS but was able to make a miraculous recovery thanks to proper treatment and care. Before and after images of the girl were shown on the large screens behind Lennox, who then performed a song with the Agape Children’s Choir. The crowd sang along as the lyrics “We are together… We are family” flashed across the screens. Peter Gabriel introduced Emmanual Jal, a former child soldier in Sudan who sang a song dedicated to the British aid worker who rescued him and 150 other children. Gerri Halliwell introduced trailblazing South African music legend Johnny Clegg, who performed a duet with Joan Baez. The penultimate act was Queen and Paul Rodgers, who performed a fan-friendly medley of Queen’s greatest hits, including “The Show Must Go On,” “We Will Rock You” and “We are the Champions.” The crowd sang and clapped along thunderously. The concert’s finale featured anti-apartheid campaigner and musician Jerry Dammers, who organized the Nelson Mandela 70th Birthday Tribute. Dammers and Winehouse led the entire line-up of performers and the crowd in singing Dammers’ anthem “Free Nelson Mandela.” Formerly sung in protest against Mandela’s imprisonment, the song took on a celebratory tone and was a fitting end to an historic event. All proceeds from the concert will go to 46664, the Nelson Mandela Foundation's campaign for global HIV/AIDS awareness and prevention. 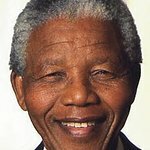 To send birthday wishes to Nelson Mandela – who turns 90 on 18 July – visit www.happybirthdaymandela.com. Proceeds from this birthday card campaign go to Nelson Mandela’s charities.